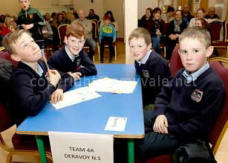 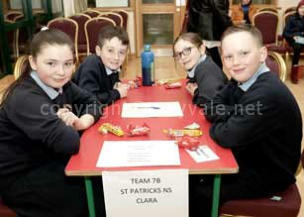 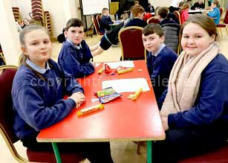 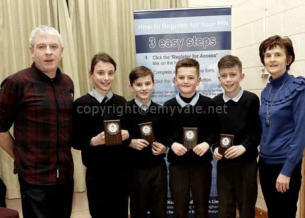 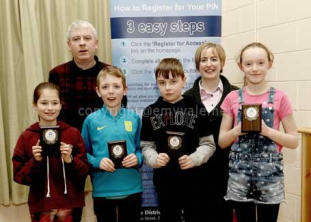 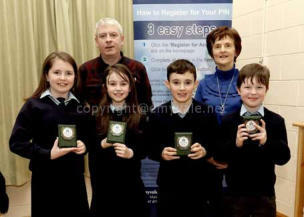 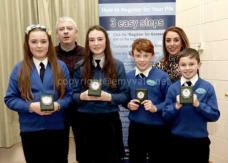 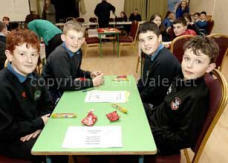 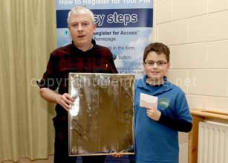 Emyvale District Credit Union LTD: The annual Credit Union quiz for National School children within the catchment area of Emyvale District Credit Union was held in the Blackwater Centre on Friday, Feb 1st 2019. 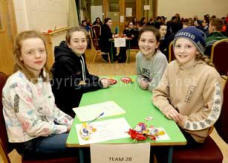 Thirteen teams took part with four pupils on each team and there were two sections - Section A for the younger and Section B for the older group. There were 10 Rounds of 6 questions for the Section A and 12 Rounds for Section B. 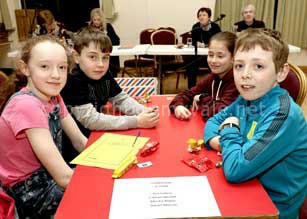 Section B ended with a tie-breaker to decide the second and third place winners. 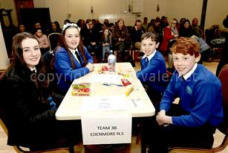 It was all very exciting and indeed there were some very difficult questions that had a many of the parents and adults present scratching their heads. 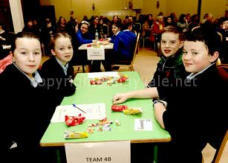 The pupils were enjoying it all and were all very competitive with the result not definite until the final round. Chairman of the Board of Directors, Brian McKenna, was MC and Brigid McAree was quizmaster and Murphy ound supplied the amplification. 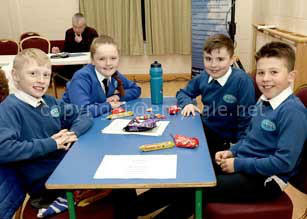 The questions were supplied by Credit Union HQ and were similar for other areas in the country. 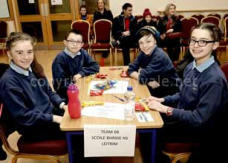 Ann McKenna and Grainne Keenan, Directors, were score keepers and members of staff organised the event and helped with all aspects on the night. 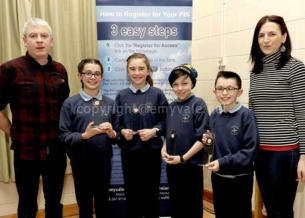 The Emyvale Credit Union had presents for all participants which was appreciated. The Chairman presented the prizes to the top three teams in each section and the winning teams in A and B will represent the local Credit Union at Chapter level. We wish them every success and congratulate all teams who took part. 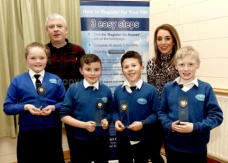 A Special presentation was made to Noah Lavery who was a Special Winner in the Chapter level of an Art Competition recently and our congratulations to him too. The winning teams were: Section A = 1. 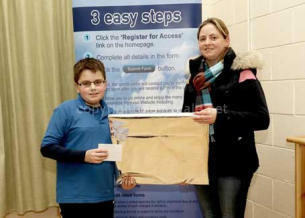 - Edenmore, pictured with teacher, Maria Bannigan; 2. 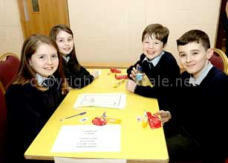 - Corracrin pictured with teacher Sharon Corrigan; 3. 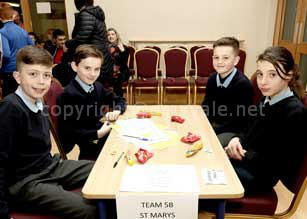 - St. mary’s Glaslough with teacher Brid Dowling. 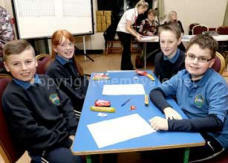 Section B = 1. - Scoil Bride, Leitrim School with teacher Cathy Ronaghan; 2. - St. Mary’s Glaslough with Brid Dowling; 3. - Edenmore with Maria Bannigan.